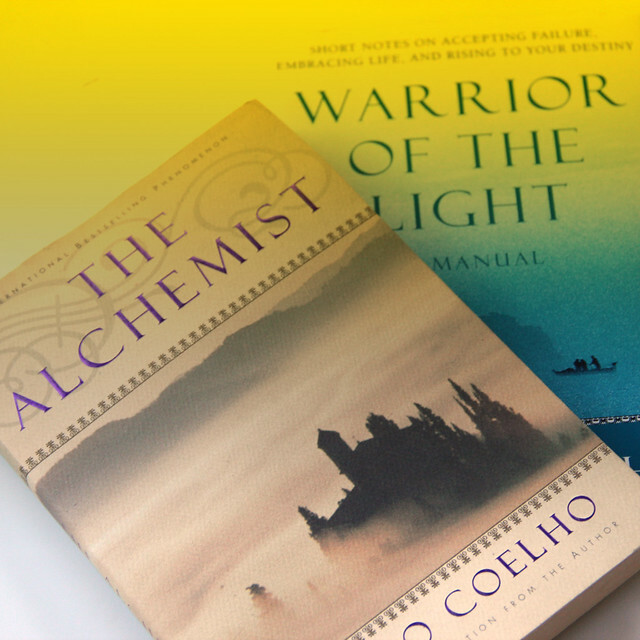 About five or six years ago one of my dear friends gifted me with a copy of Paulo Coelho’s The Alchemist. She said it was a “must read” and that it might change my life. It took me a couple years to finally get around to reading it – but when I finally cracked the spine, it delivered. The Alchemist is a story about a boy searching for treasure. Like any good hero’s journey the boy finds magic, connection, meaning, and the real treasure along the way … As does the reader. The funny thing is is that I didn’t pick up The Alchemist until I was really ready to receive the moral of the story. I’m typically a fan of non-fiction (let’s get real: self-help) books that will provide me with key takeaways aiding me in both business success and spiritual enlightenment (and now sage parenting advice, of course). But Paulo Coelho manages to craft words together that vibrate at a higher frequency that transcends trendy self-help. His work is timeless and universal to the human experience. And I believe reading his books will make all of us better people. 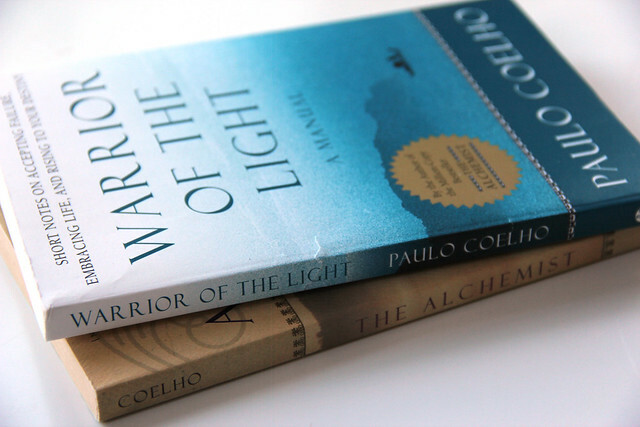 So just after landing on “warrior” as my word and intention for 2014 I stumbled upon Coelho’s Warrior of the Light: A Manual on my Kindle. I downloaded and devoured it – highlighting almost every word (which kind of defeats the point of highlighting, eh?). I knew I would need a hard copy of this one for daily reference. “He is capable of seeing what is beautiful because he carries beauty within himself, for the world is a mirror and gives back to each man the reflection of his own face.” Wow, what a reminder to be accountable for how you show up in the world. This is what karma truly looks like. “The great victory, which appears so simple today, was the result of a series of small victories that went unnoticed.” A lesson in gratitude – I think this is especially important to remember as a creative entrepreneur. “In order to have faith in his own path, he does not need to prove that someone else’s path is wrong.” It’s easy to feel challenged when someone else’s business, religion, relationships, world-view isn’t aligned with your own – it can make you feel like you’re going about it all wrong and put you on the defense. What a great reminder that not everyone experiences the world the same – and that that’s okay. “That is why they are Warriors of the Light. Because they make mistakes, because the ask themselves questions, because they are looking for a reason they are sure to find it.” Amen. Pretty powerful stuff, if you ask me. I’ve decided that to be accountable to my “warrior” resolution it would be cool to open this book each day in 2014 and reflect on how the passage I land on could inspire or be applicable to my life. I want to truly use it as a manual to carry out my intentions for this year. What game-changing books are inspiring you lately?